Oh, happy day, oh happy day! Let’s give a woot woot for Friday! I have a ferocious appetite this Friday morning–I don’t know what’s up with that, but I’m feedin’ it. I have a great recipe to share with you all from last night, but first I want to share a few bits and pieces from Thursday. The past couple of days I was at a conference for work. The conference was held on the U of Minnesota campus and believe it or not, I had never really been on campus. I’ve been to the U of M but never actually walked around the campus. It is beautiful and BIG! On the first day, I slightly underestimated the amount of traffic there would be, and was running a twinge late. 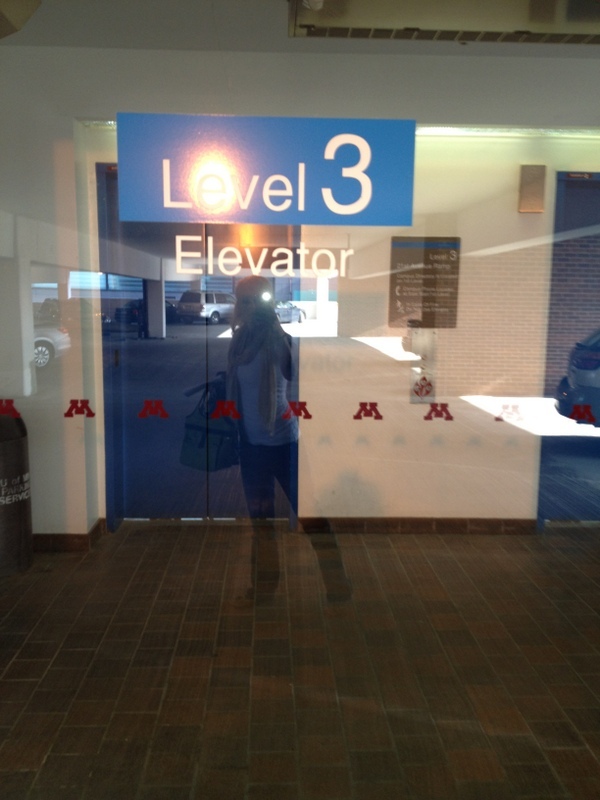 Then, when I made it to my destination, I had the challenge of finding the parking ramp. I finally found the parking ramp after making a couple of rounds around the area. Once I parked, I made sure to record where I had parked by snapping a photo. Does anyone else do this? It’s especially essential for me to either take a photo or write down where I parked when I’m in a bit of a frenzy as I was that day, otherwise I will never remember where I parked, and ramps are incredibly confusing to me. I actually wasn’t planning to post that photo but it turned out to be kind of neat. The photo was from day 1, and on day 2, I made sure to park in the exact same spot. On Day 2 (yesterday), I was in a much calmer mood walking onto campus since I was now familiar with where to park, which building to go to, and which room the conference was in. I even packed a backpack to carry all of my stuff so that I didn’t have to look like the crazy person about to drop a purse, a lunch bag, a binder, and a sweater as she sweats her way to the parking ramp at the end of the day, which was me the day before. I definitely looked like a student, and felt like a student again, walking on to campus with my backpack, and confidently knowing right where I was supposed to go. It felt great. In that ol’ backpack of mine (Dana’s actually), I packed all of my running gear and my lunch. Once we got let out for our hour-long lunch break, I quickly changed into my running gear and hit the road. 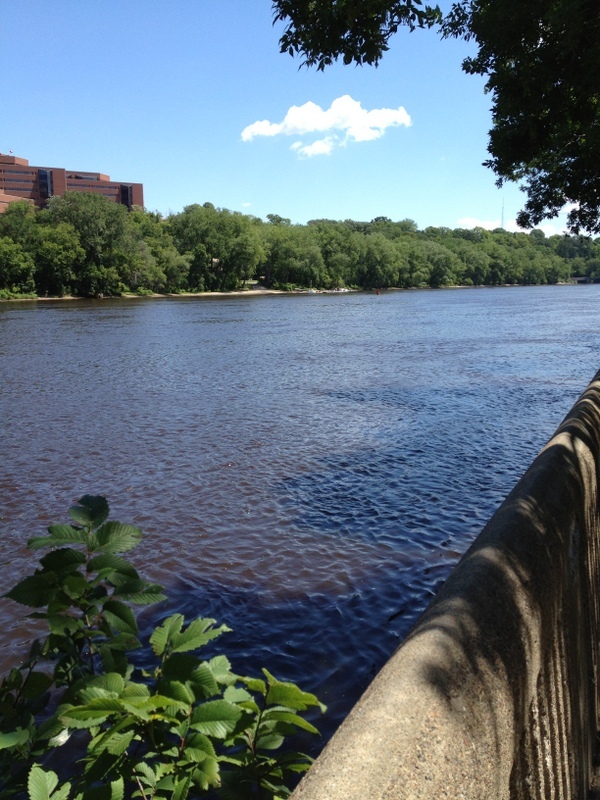 There was a sidewalk right along the river that I ran right along, and the views were gorgeous. I got a couple of stanky wiffs of dead fish, but even with that, it was beautiful. I’m not used to running mid-day or afternoon for that matter, so it felt very hot to me, but there was a nice breeze that helped to keep me cooler. It couldn’t have been a more perfect afternoon. I have noticed that I am not in the best running shape anymore. I haven’t been running as much lately due to minimal energy and discomforts from the U.C., but small runs here and there have been feeling okay. I will get my running juice back, I just need to work up to it again. 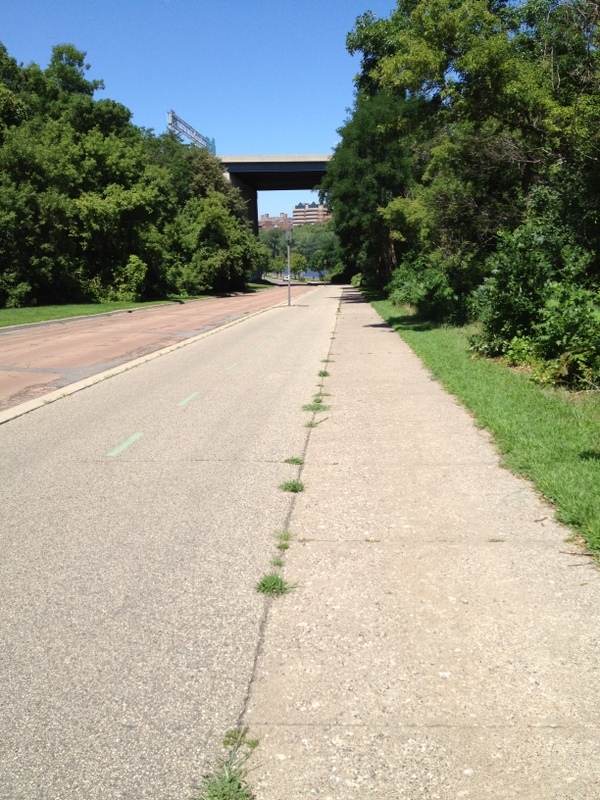 Yesterday on my lunch run, I covered just under 3 miles. 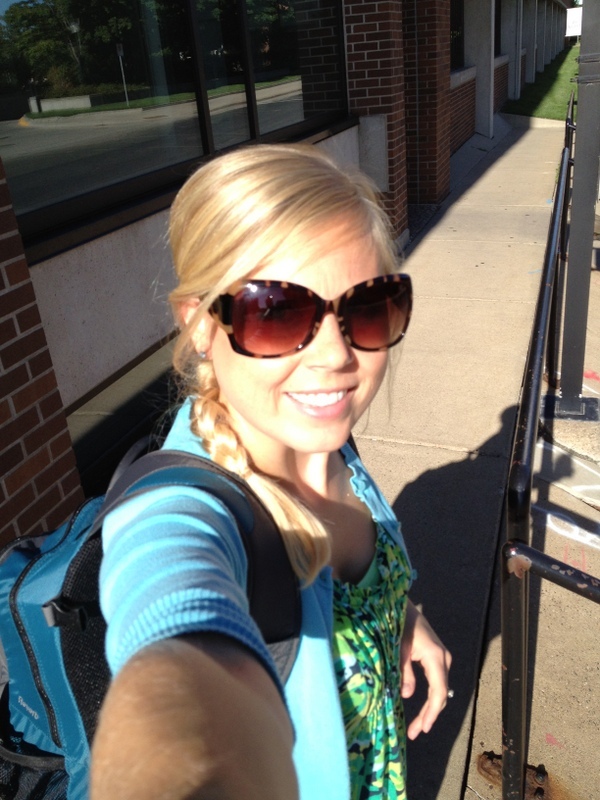 Then, I headed to my car to blast the AC, cool down, and eat my lunch, before heading back to the conference. I was so proud of myself for going for a run during break. It helped to keep me feeling warm(er) during the afternoon in the freezing cold auditorium, and also helped keep me awake. Another plus is that I didn’t have to go to the gym afterwards which is really great because I didn’t get home until nearly 6:00, and I was HUNGRY. My foodie brain had wandered during the morning portion of the conference, and I had created our dinner meal in my head. I texted Dana, “Mini turkey meatloaf and grilled zucchini and artichokes?” His reply, “num.” When I got home Dana had done a lot of the prep work for me already: chopped the carrots, onion, green olives, zucchini sticks, mushrooms (I added this idea later after that first text), and lastly artichoke hearts. I got to work on the rest of the prep and came up with a seriously tasty recipe for you all. No need to dilly dally, here it is! Preheat oven to 350°**. 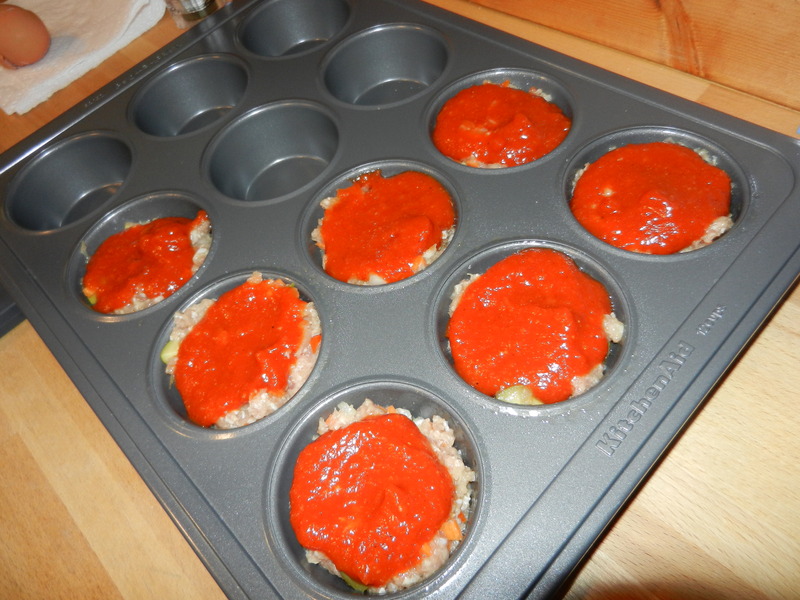 Prepare 7 muffin tins by spraying with non-stick cooking spray; set aside. In medium bowl, use hands to combine all ingredients except ketchup/BBQ sauce. Do not overmix. 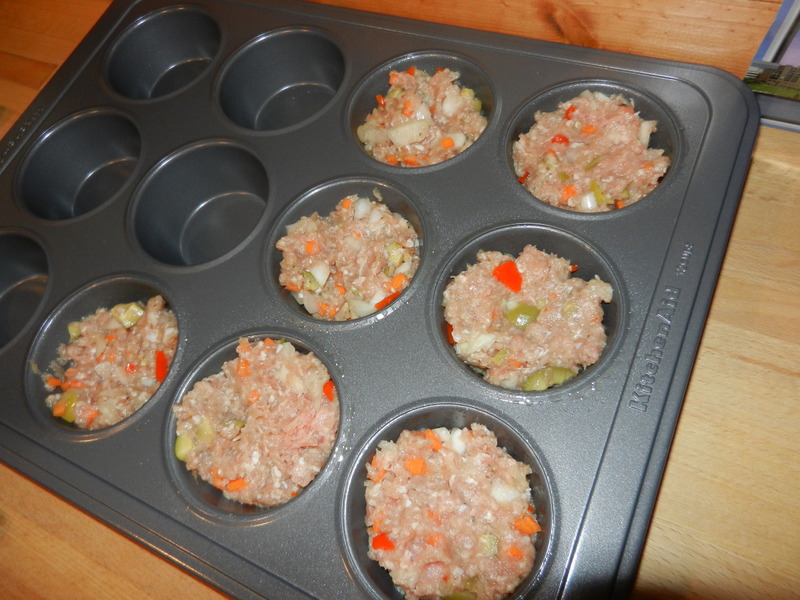 Press mixture into prepared muffin cups, leaving 1/4-1/2 inch on the top. Spread 1-2 heaping tablespoons of sauce over each loaf. Broil on high for 3 minutes. Remove from oven and enjoy these cute little loaves. 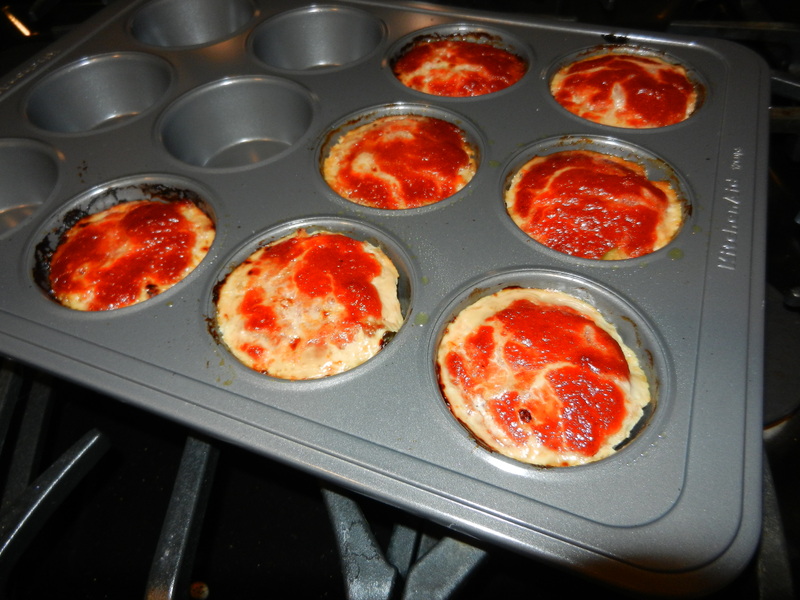 **I used the convection bake setting on my oven and baked the loaves for 35 minutes. Since convection can contribute to shorter cooking times, I extended the range of cooking time from 35-45 minutes because I realize not everyone has the convection option. Keep an eye on your loaves. Since they are in miniature sized versions, they don’t take too long to bake. 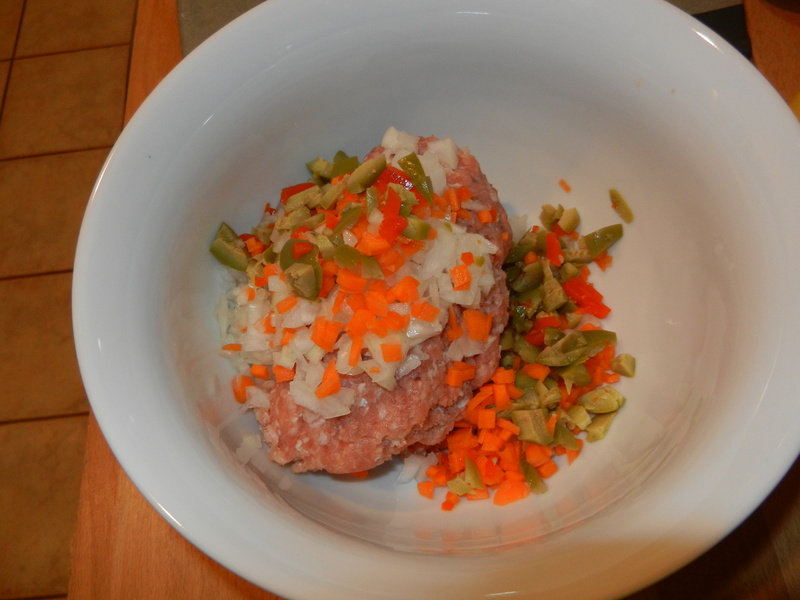 Of course I smothered my turkey loaf with even more sauce, but they don’t necessarily need more! 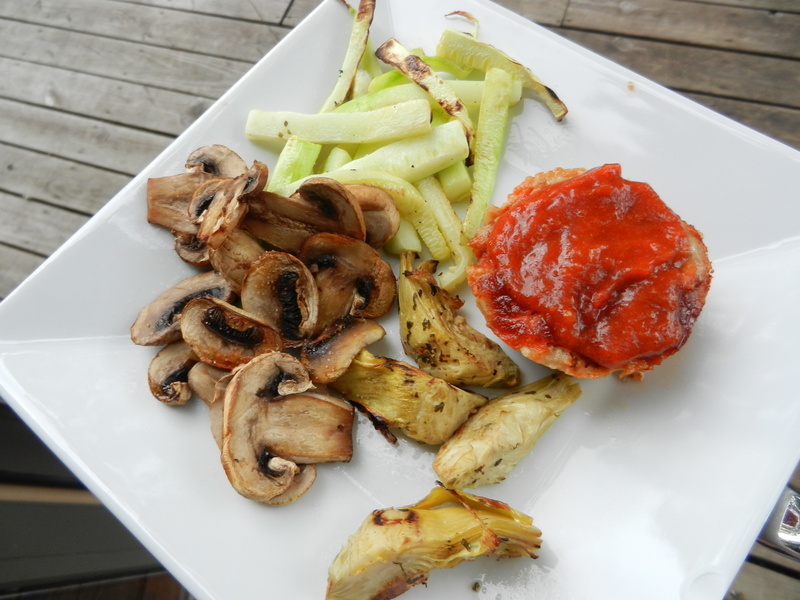 Alongside the turkey we served grilled zucchini, mushrooms, and artichokes sprinkled with a touch of salt. I went back for another loaf. This dinner was the bomb, like tick tick. LOVED IT. Please make these. They are perfect for kids too! 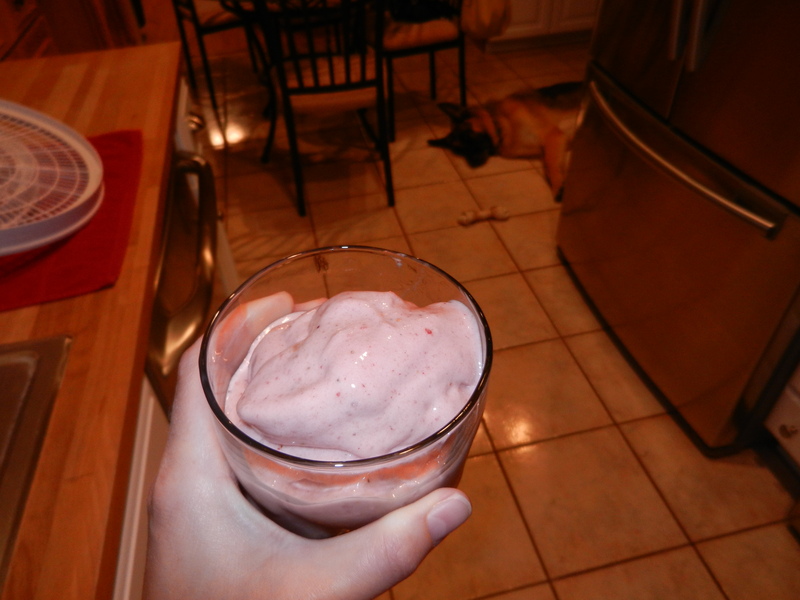 Dana made us up a batch of strawberry banana soft serve and it was just what I needed to end my night. 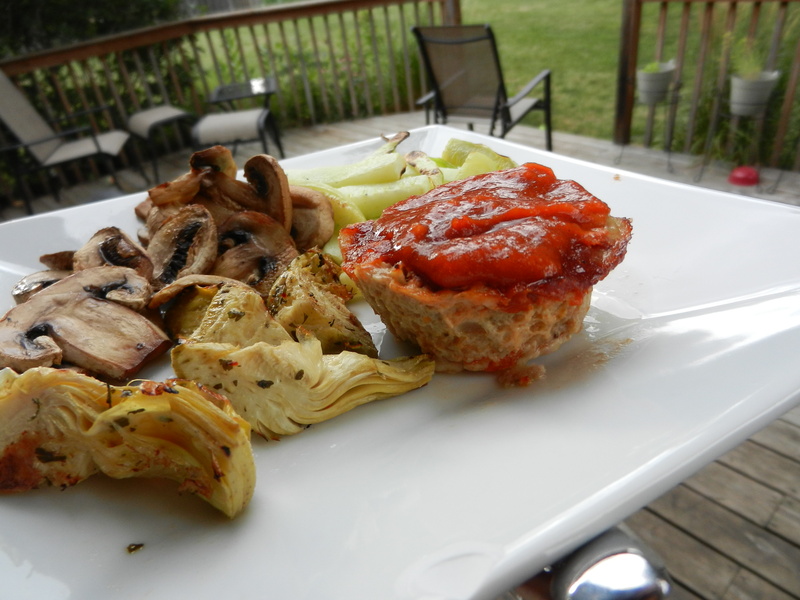 This entry was posted in Dinners, Health, Recipes, Sweet Treats, Workouts and tagged Bananas, Protein, SCD, U.C., Veggies by Melanie. Bookmark the permalink.